What a great article, Holly! I haven’t been practicing reflexology very much since I’m focused more on my own practices and honing my skills with crystals, but this – I’m totally going to use. I’ve been discussing my teeth with my angels for awhile now, and they kept telling me that I was going to find something natural soon. I haven’t been to a dentist in almost 10 years, and thankfully haven’t had any serious problems that I can see, but I have been concerned about the health of my teeth lately, so I’ve already been focusing on them improving themselves, and using an essential-oil based toothpaste. Thanks Lindsey! I’m glad the timing of the article worked out perfectly :). Happy holidays! Interesting article. Just got me thinking about my daughter. 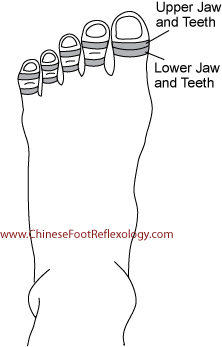 Do you think it’s possible to help her teeth pain with Chinese reflexology? She’s getting quite a few in at the same time. Generally speaking, most types of pain in Chinese medicine are caused by stagnant energy. Of course, when teeth are cutting through gums, it’s pretty obvious what is causing the pain. Massaging the points can help energy flow through the area so I’d say, give it a try in tandem with your regular pain management plan. Thank you for sharing the brilliance you see in being human, becoming responsible for our own health awareness and maintenance. You’re very welcome. I appreciate that you “get” it :). Here’s to a happy and healthy new year! Never imagined Chinese reflexology for dental care! I have good teeth (never prone to cavities) but very challenged gums. This would be an interesting thing for me to look into. Interestingly, I am having some problems with my big toe at present due to inflammation. Maybe there’s more than one thing going on. Thanks for such an interesting perspective. Woah! Amazing results. Thank you for sharing your experience with natural dental healing and the reflexology points for the mouth. Awesome to hear Gloria! You’re very welcome. Wow, Holly! 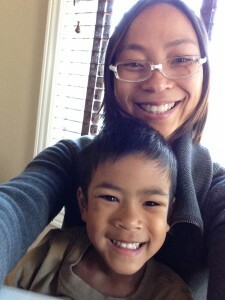 What’s not to love about this blog, and post? First of all I enjoy the esthetics – look and feel – of being here. And then I connect with the presence of your being in this post, and all you are sharing. Next I come across the dairy part of calcium, which in my case doesn’t necessarily resonate – while you make a point to listen to your own body to find what works – as indeed emphasis on a method doesn’t work in and of itself. Trusting the body’s innate intelligence, and capacity to be in harmony with wholeness is where it’s at! I am so inspired to share this with my kids and beyond that, with others too! Thank you Nell. I feel your energy and presence in your comment and I appreciate that you truly “get” what I am hoping to convey. I worked in the Internet industry for a decade and designed the site myself, so I also really appreciate your appreciation of the look and feel of my site. Hi there, Sounds like you are in a world of overwhelm trying to figure this out. May I suggest that you try calming your mind through meditation or a nice walk in nature. When the mind is still, that’s when you can hear from your body what it needs to heal. It also helps you to shift belief structures that limit your belief in your body’s ability to heal. Sometimes, surrendering to the body’s wisdom is what you need to release fear so that you can facilitate the healing process. In my excitement I forgot to thank you, Holly! So hereby: thank you so very much for writing such a complete blog post on this topic! This is very interesting. Worth a try. I don’t know what my results will be but right now my toes feel absolutely marvelous from the massage you recommended! Good feeling toes are always good! Reflexology can be quite subtle or quite instantaneous in results. It often depends on the area and how long it has been in an energy disharmony. Longer = longer time to see change. Shorter = faster time to notice a difference. The key is to practice consistently. Thank you so much for your comments! They were awesome :). I’m glad you found the article helpful and I appreciate your honesty, openness and enthusiasm shining through your words. hi Holly – great article. I’m looking for more examples of the traditional Chinese medicine for dental. if I could comment on Faye’s post a bit … I’ve been researching dental and would highly recommend Frank Jerome’s book ”tooth truth” (available online as a pdf) . he claims that up to 95% of procedures are entirely optional. he also claims that you put yourself at actual risk every time you enter a dental office. you need to know EXACTLY what you want done before hand, and to not allow yourself to be sold on ANY expensive and sometimes dangerous procedures. Jerome was a dentist himself. As it is Faye, you have a great opportunity to embark on a serious healing experience! & I wish you the best. & thanks again Holly, for the excellent account and explanations. You’re very welcome. Thanks for sharing about the book, Tooth Truth. Sounds really interesting. Thanks Holly, really useful information, I’m learning so much! Wow, what a beautiful website. So informative. I will try the reflexology for teeth, I learnt the introductory reflexology in advanced esthetic school. I was wondering if you had any information on geographic tongue I am pretty sure its caused by my digestion/stomach issues. Holly, thanks for such wonderful blog designed by yourself. But in this page you spelt out to mention for how many months the reflexology massage should be done ? I can’t wait to hear from you. Please comment fast. You’re welcome. Unfortunately, there is no simple answer. How fast one heals depends on their body, age, the degree of the condition, how long they’ve had the condition, and their mental and emotional beliefs and outlook. If you have a serious dental issue, I would recommend seeing your dentist. <3 <3 <3! Great article. Thanks so much! thank you so very much, very helpful, encouraging, kind. bless you! Enjoyed your infomorative article. There is hope. I’m into natural healing mind, body, and soul! I would like to receive your newsletter.